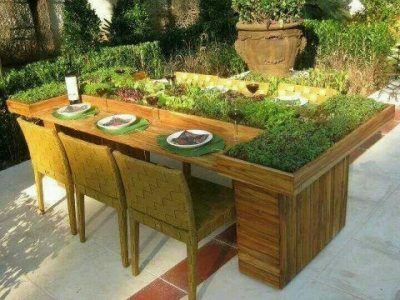 ﻿ Planter table with herbs and fruits growing from plant pots in the tabletop. 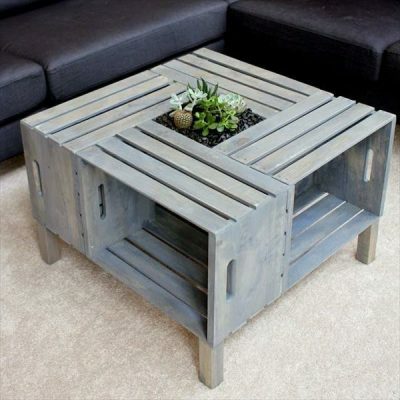 Garden tables from repurposed wood, planter table designs and DIY inspiration for home made furniture. 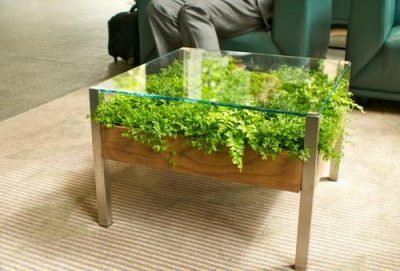 Low lounge coffeeetables with vegetation under glass. 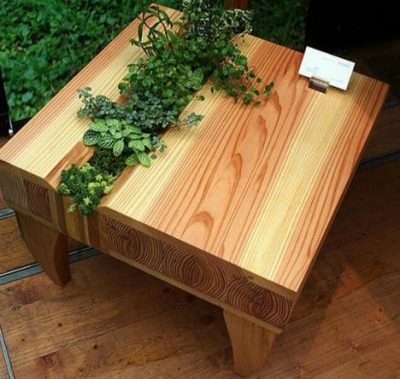 Planter table with herbs and fruits growing from plant pots in the tabletop. 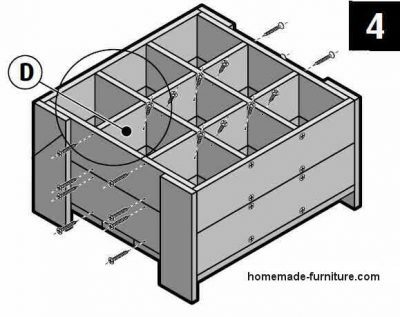 Free furniture plans » Free construction plans for a homemade planter. 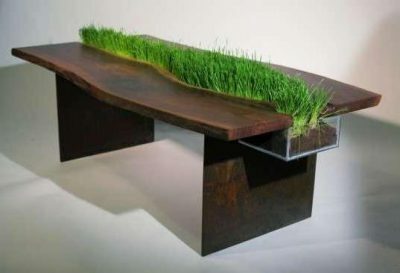 » Tables with integrated planter. 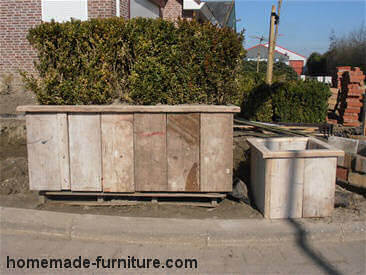 A planter table is often used with plants in containers and easy replaceable buckets. 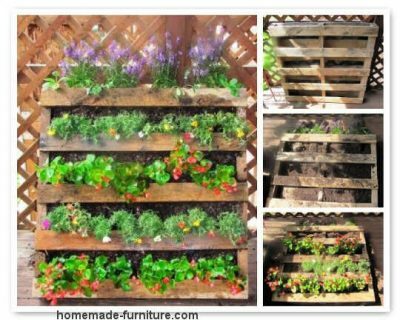 Make maximum use of your homemade planter table. 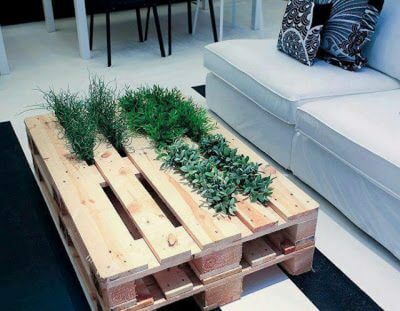 Firstly pre-grow your plants untill they are big and ready for showing off. 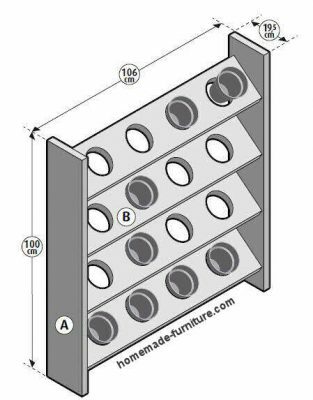 Then place these small planters in the table compartment. 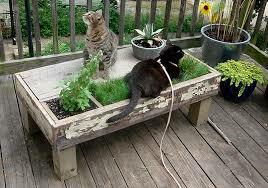 The planter tables is especially functional if you plant herbs and vegetables in it. 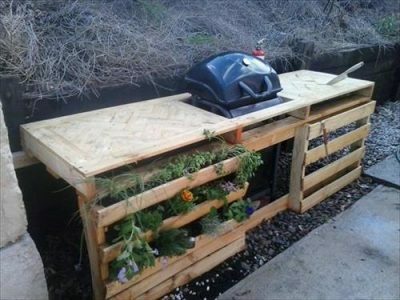 Imagine having miniature tomatoes, chives and parsley growing in your planter table. 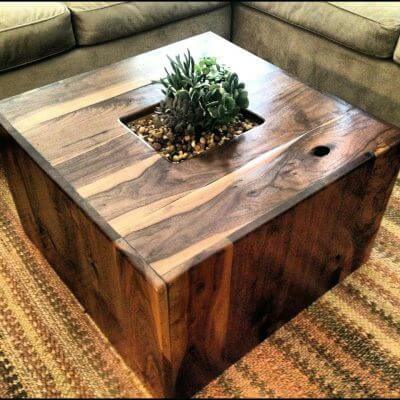 Lounge style coffee table with embedded planter. 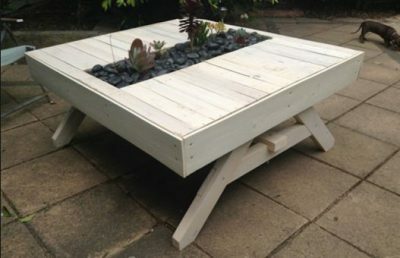 Lounge style coffeee table for outdoors, with integrated planters in the table top. 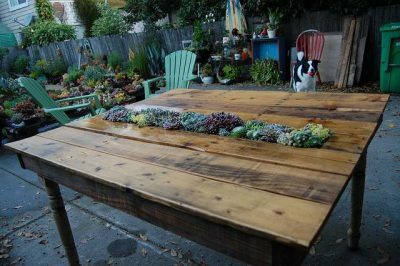 Table with large planter with succulents below a glass tabletop. 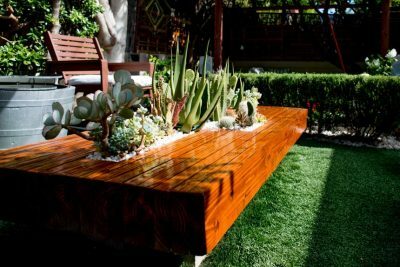 Succulents growing in the planter table top. 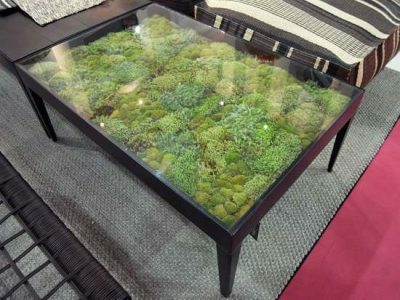 Coffee table with glass tabletop covering a plant bed. 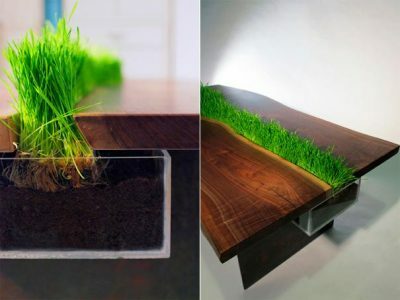 Perspex channel planter embedded in a hardwood dining table. 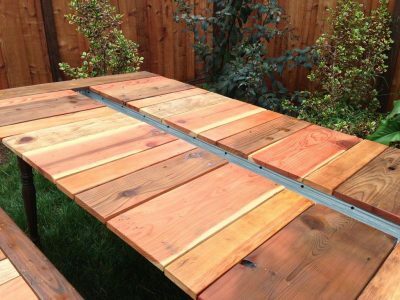 Green table design, hardwood and perspex for the planter. 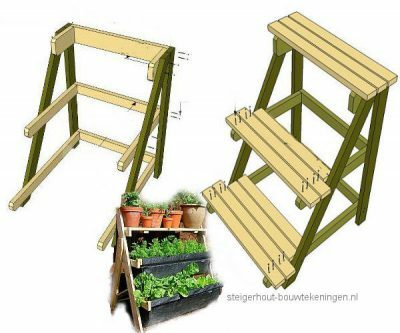 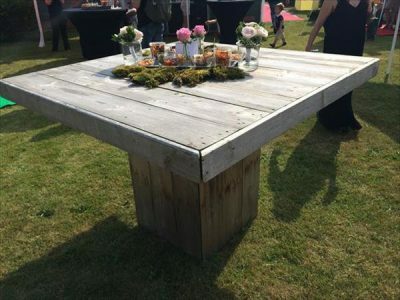 See our Dutch woodworking plans for more of these green table designs. 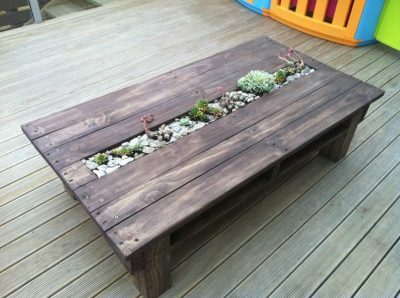 How to make a planter from reclaimed scaffolding planks and repurposed pallets.